LIVE WORK! Attorney, Doctors Many Professional Office businesses allowed- Ocala FL's downtown Historic District! LOTS of parking available nearby. 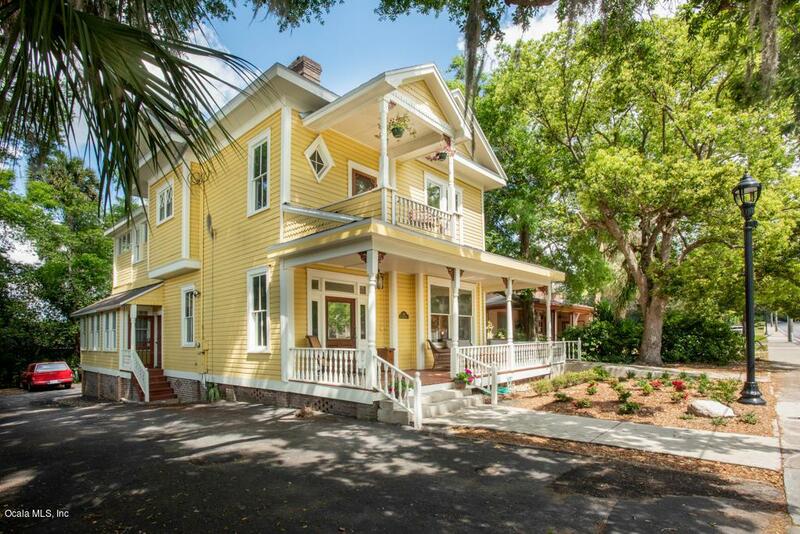 Perched on famed Fort King Street, this is a piece of history! Originally serving as home to Dr. Walter Hood, pioneer Ocala Physician (''Ocala's Mongrel''). Sits 3 blocks from downtown's Square with thriving restaurants, entertainment & shopping! 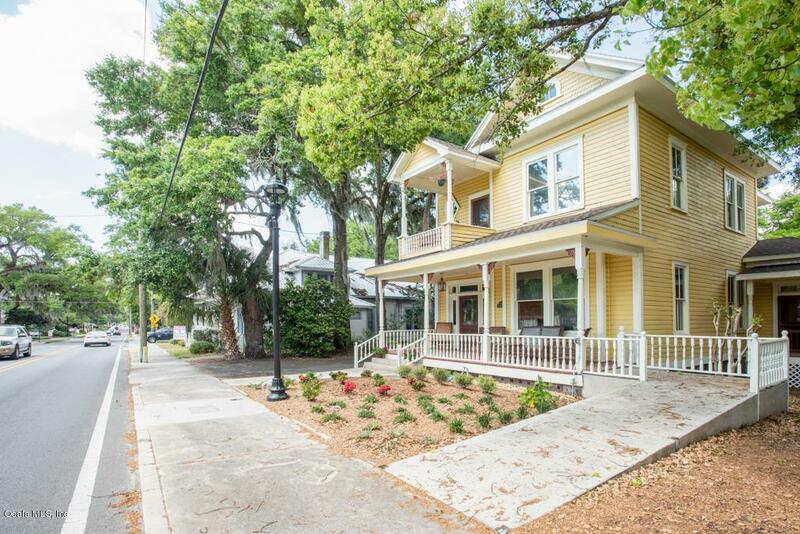 Property boasts original oak floors, trim, pocket doors, brass door plates and an impressive grand foyer. 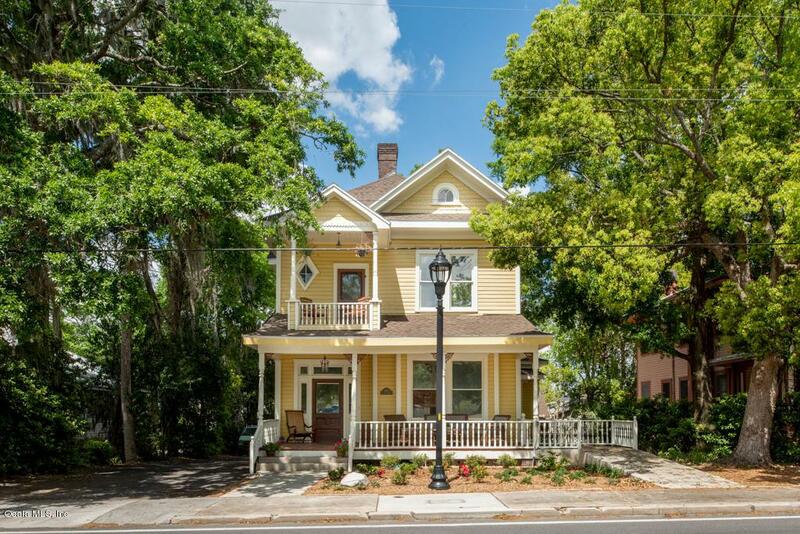 Relish nostalgia with 7 fireplaces, 12' ceilings, updated kitchen, NEW roof, NEW double HVAC Units & tankless water heater, Second floor showcases 3 generous Bedrooms, porch overlooking Fort King St and a remodeled bath.3 tiles and an antique sink cabinet. 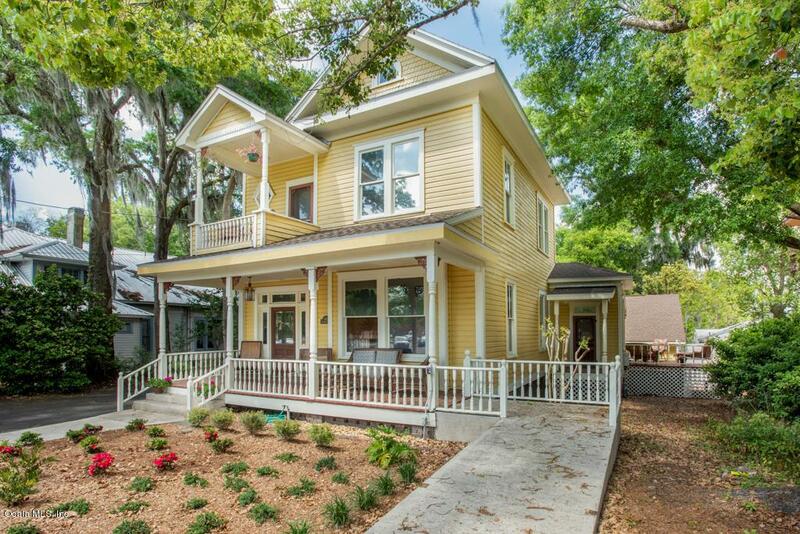 Exterior features new care-free landscaping, three porches and a 3-bay 1.5 stories garage! Listing provided courtesy of The Osbourne Group of Premier Sotheby's International Realty Orlando.